Welcome to Onice, a luxurious two-bedroom apartment in Venice, Italy. Located on the prestigious island of Giudecca which overlooks the Giudecca Lagoon and St Marks Basin, this 16th-century luxury villa is one of the nicest apartments to rent in Venice. Villa Onice is one of 11 luxurious independent apartments located in the exclusive Villa F building. Villa Onice is an expansive loft-like two-bedroom Residenza located on the second floor of and boasts low ceilings and wonderful garden views. Both Onice and Agata apartments interconnect to make up a spacious 4-bedroom villa. One of my favourite things about the Villa F building is its location. Situated on the quite Island of Guidecca, guests can enjoy the hustle and bustle of Venice life during the day and then return to relax in private, peaceful surroundings of their own apartment with five-star service. The Villa F building offers wonderful views of the lagoon and main city beyond. For those looking to be near all the popular attractions yet want the privacy of their own home then this property is the perfect place to be. 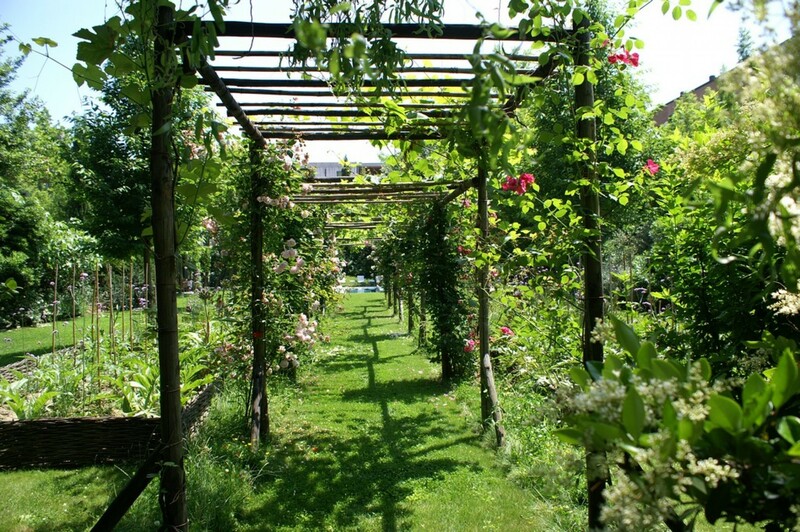 To wake up every morning to birds singing in tranquil surroundings will have you hardly believe that you are in a city. 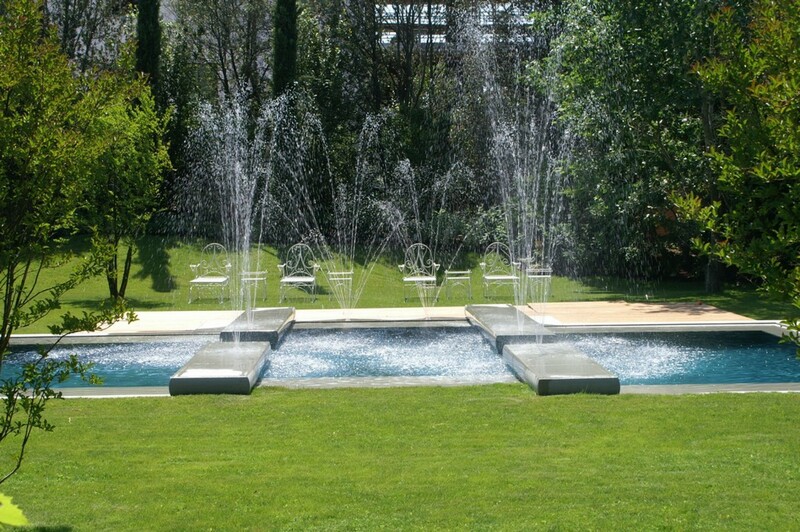 Villa F is private, yet you are only 5 minutes in a complimentary water taxi to the amazing San Marco Square. Villa Onice is one of 4 apartments on the second floor of Villa F and can be accessed by elevator or stairs. It is a Loft Style apartment and boasts lovely views of the expansive gardens. The villa is very spacious (150sqm) and decorated with modern artwork and timeless pieces of furniture. What will strike you about this apartment is its double high ceilings with original exposed beams running across the living room. After a long day discovering Venice, there is nothing nicer than coming back to your apartment and relaxing back on a comfy oversized sofa. The room features fine Persian rugs and offers a relaxing space for guests to enjoy. Onice also has a narrow cast-iron staircase will take you up to the mezzanine floor, here is where you will find your kitchenette. It is a very stylish unit featuring lacquered cabinets made of solid wood. There is comfortable seating for 4 guests to sit down and enjoy breakfast, lunch and dinner. Guests have a choice of preparing your own food, ordering room service from Hotel Palladio or we can arrange a gourmet chef to come and prepare a delicious meal in the comfort of your own home, using the freshest and finest Italian ingredients. “Onice” has two extremely spacious luxury bedrooms and both come with ensuite bathrooms. The rooms boast king beds with views of the beautiful garden. The bathrooms have deep tubs in them which is amazing for soaking in after a long day. It also has a shower facility on the wall. 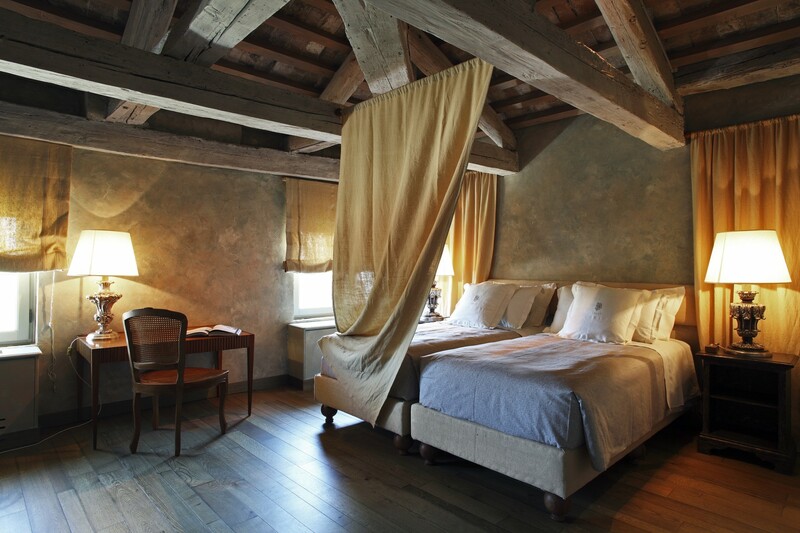 Guests who stay in this apartment will also have complimentary access to the Palladio Hotel which is right next door. The Palladio is a stunning hotel and offers complimentary gym access to guests as well as a wonderful spa plus a restaurant and bar. Guests can decide to dine in the comfort of their own Venice villa or at the Villa F restaurant. 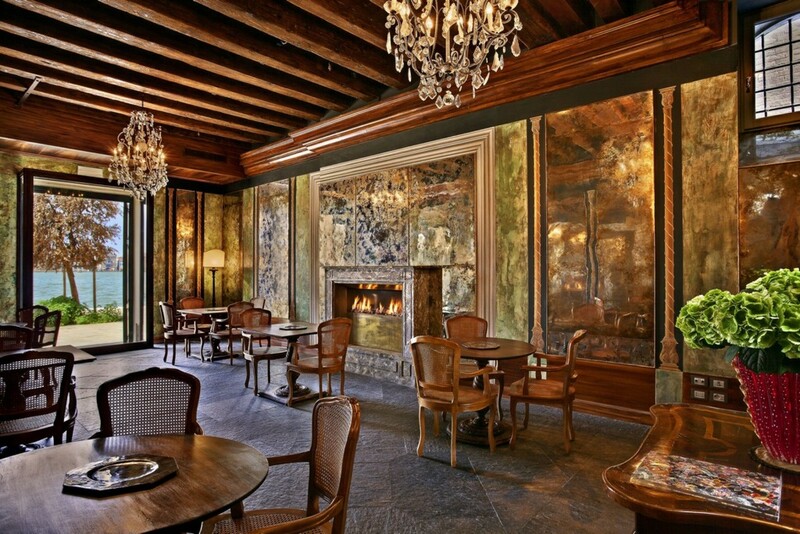 Should you wish to dine in the Palladio, you are also welcomed to do so. You can reach the hotel via private access gate through the gardens of Villa F. Guests of Villa F can also enjoy breakfast at the Bauer Palazzo Hotel located beside St Mark’s Square. Some mornings its nice to travel the 5-minute boat trip and dine in this hotel which gives you different but equally as beautiful views of this great city. Guests staying at Villa F can avail of the complimentary shuttle service which will take you on a 5-minute water taxi ride across the lagoon to where you will find the popular San Marco’s Square which is regarded as being the most popular place to visit while here. Stunning Gothic and Renaissance architecture awaits you as well as the Basilica, Doge Palace and the clock tower. Sit and have a coffee and soak in the atmosphere while listening to classical music. There are lots to see and do in Venice, and the best way to see and learn more is with your own personal guide. Our concierge department would be delighted to arrange a tour guide for you who speaks ten different languages. Other popular attractions in Venice include taking a romantic ride on a gondola, Marco Polo’s birthplace and of course The Rialto Bridge. All these attractions are easily reached from Villa F. After your day is done and back at your apartment take a stroll in the beautiful 3-acre garden that sits outside the back door. 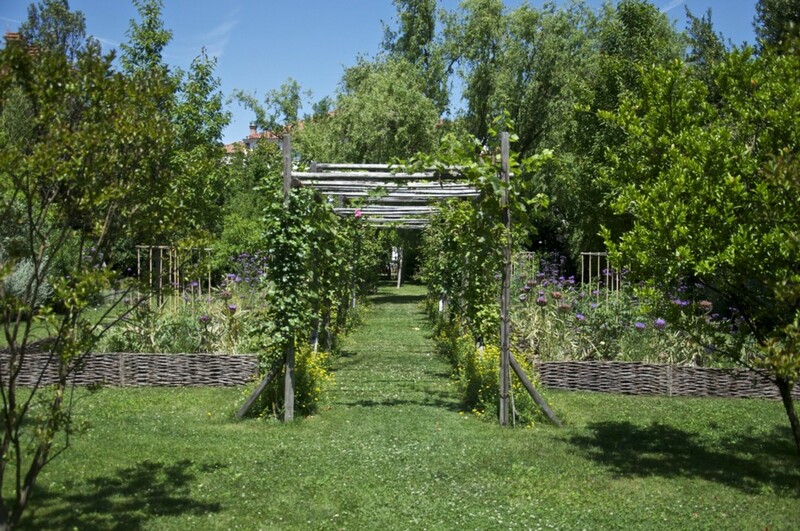 Take in the sweet-scented flowers, garden fruits and vegetables. Relax at the lovely meditation pool which can be found at the end of the garden. At Exceptional Villas, we offer a full complimentary pre-arrival concierge service. We can assist with your airport transfers to the property, water taxis, tours and excursions as well as pre-stocking the villa with groceries before your arrival and arranging for additional staff including private chefs. This apartment comes with daily housekeeping services as well as complimentary butler service however many of our guests also like to enjoy chef service at least once during their stay. Our concierge will be delighted to assist with all of your pre-trip planning. 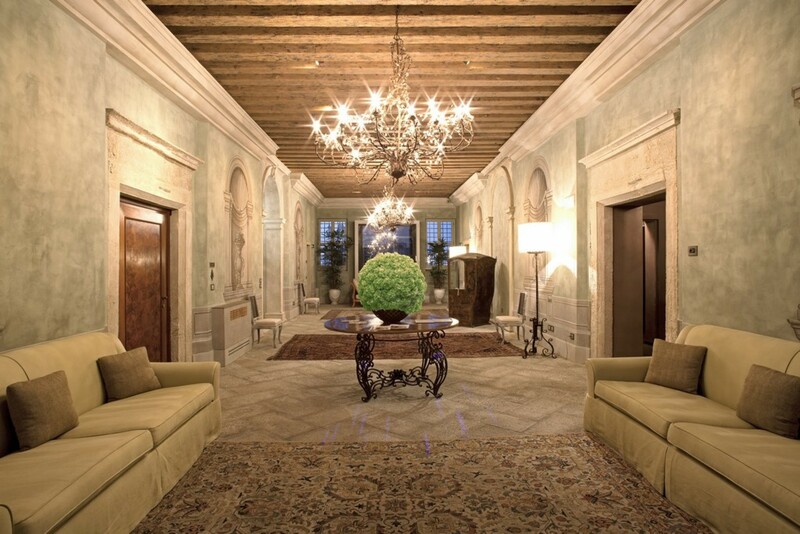 Once you arrive in Venice the “Villa F” team will be on hand to look after your every need. • Concierge and shuttle service available. 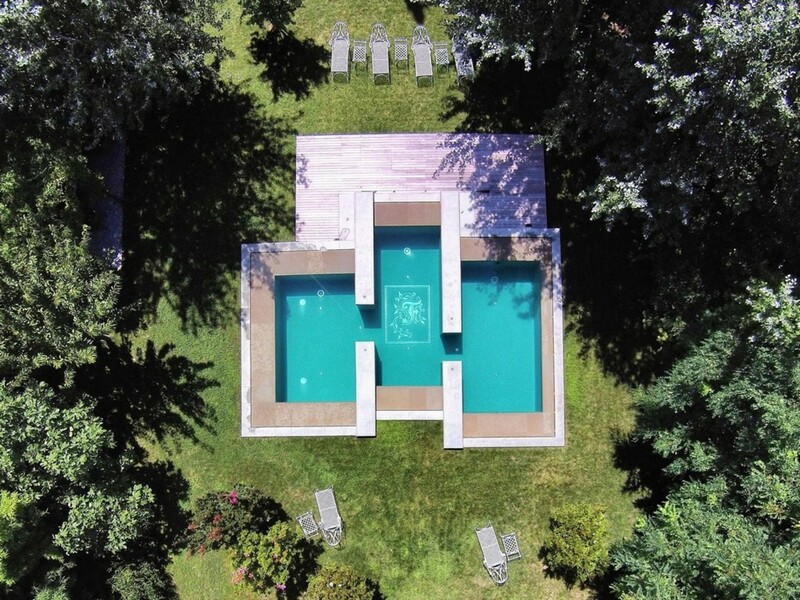 NOTE: Villa Onice and Villa Agata interconnect to make a 4-bedroom apartment called Villa Giardino. 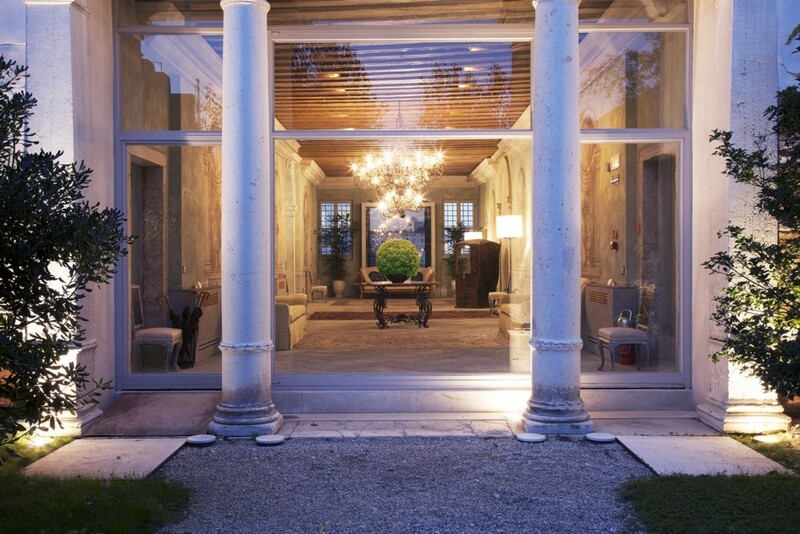 Villa F is a sought-after luxury accommodation, laced in the historic charm from its historic noble estate, and remodeled to reflect the modern elegance of a luxury Italian Villa. Villa F provides you with a complimentary water taxi that can take you across the canal to the heart of Venice and St Mark’s square, a ten to fifteen minutes journey. Onice is a great option for 2 couples travelling together or a couple with older kids. The living area is a great space to relax and unwind in. There is a fully equipped kitchen located above the living area in a mezzanine which is accessed by a narrow spiral staircase. Both bedrooms have king beds and en-suite bathrooms. 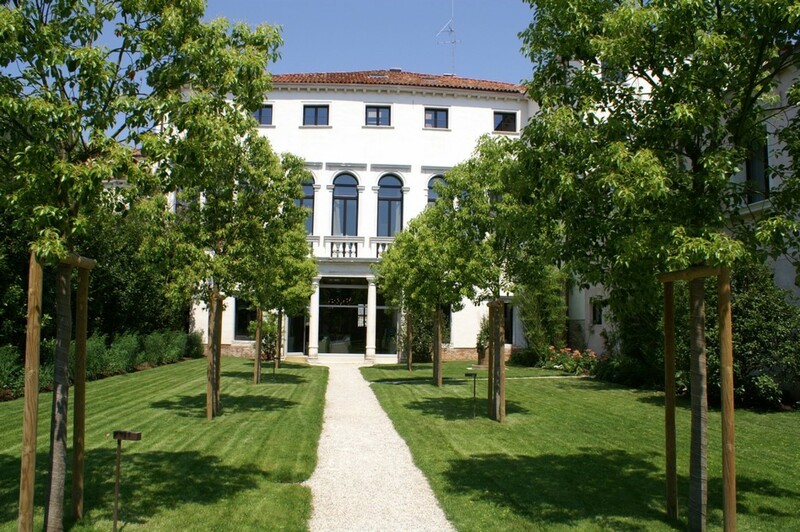 When staying at Villa F, I would strongly recommend making use of the Palladio Hotel which is just next door and if you have time, book yourself into the spa!